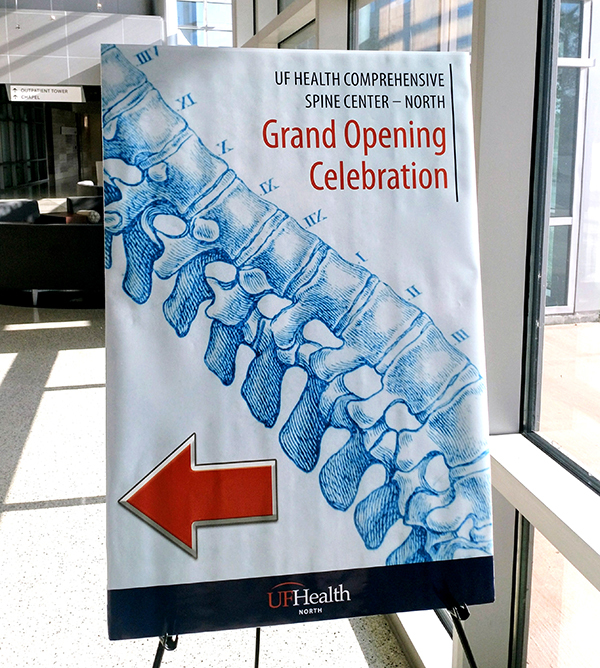 Whether it’s a cancerous tumor, a spine fracture caused by a traumatic event or disc deterioration sustained over time, the UF Health Comprehensive Spine Center has experts to address the most complex spine needs. 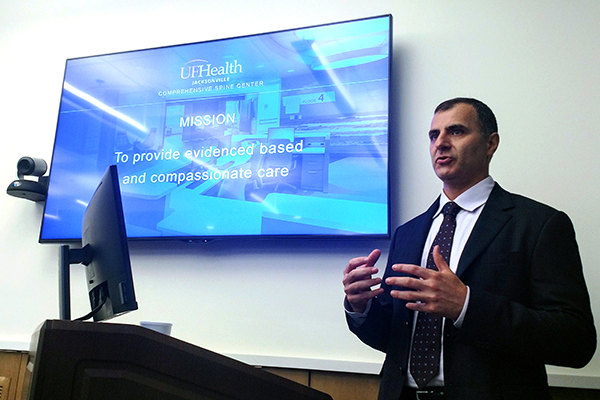 UF Health neurosurgeon Kourosh Tavanaiepour, DO, serves as director of the center, which is located on the UF Health North campus. 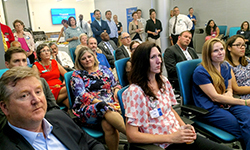 The center has been operating since Tavanaiepour arrived at UF Health last year, with an official grand opening celebration held May 23. Tavanaiepour and the other specialists within the center offer a wide range of treatment options for all types of spine disorders, from chronic back pain to complex conditions such as adult scoliosis, herniated disc and spinal stenosis. Other conditions treated include intervertebral disc disease, low back pain, spine deformities and spondylosis. 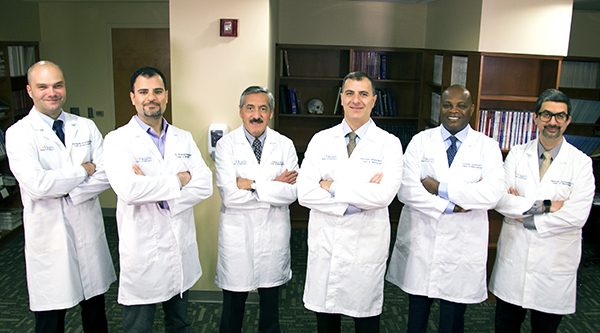 In addition to Tavanaiepour, the center’s team of board-certified and fellowship-trained neurosurgeons includes Dunbar Alcindor, MD; Carlos Arce, MD; Grzegorz Brzezicki, MD, PhD; Gazanfar Rahmathulla, MD; and Daryoush Tavanaiepour, MD. UF Health neurologists, pain management specialists and physical therapists also help make up the team, which meets weekly to review patient cases and develop individualized treatment plans. The center has a spine coordinator who is available to discuss the latest research in spine conditions and treatments and to assist post-surgical patients, who come from Northeast Florida, Southeast Georgia and beyond. Some patients come from as far south as the Daytona Beach area. 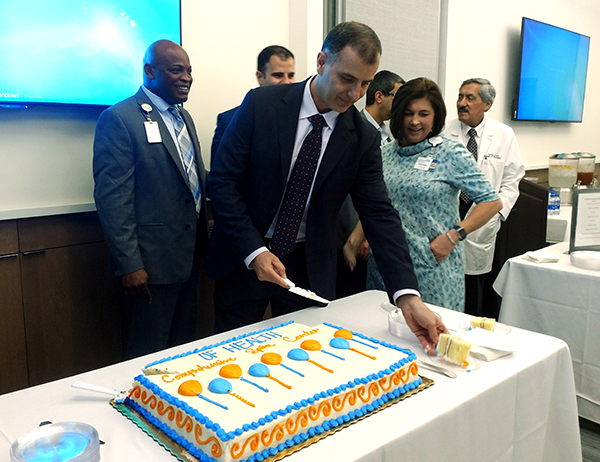 “Our goal is to continue to grow and expand in scope to become the premier comprehensive spine center in the Southeast,” Kourosh Tavanaiepour said. 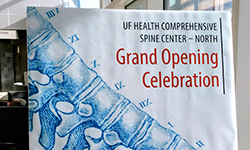 The UF Health Comprehensive Spine Center is located inside the UF Health North medical office building, 15255 Max Leggett Parkway, Suite 6500. For more information, visit North.UFHealthJax.org/spine or call 904.383.1000. 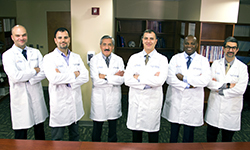 The UF Health Comprehensive Spine Center’s team of board-certified, fellowship-trained neurosurgeons includes, from left, Grzegorz Brzezicki, MD, PhD; Kourosh Tavanaiepour, DO; Carlos Arce, MD; Daryoush Tavanaiepour, MD; Dunbar Alcindor, MD; and Gazanfar Rahmathulla, MD. 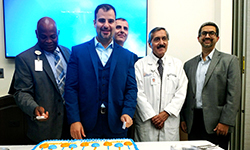 Daryoush Tavanaiepour, MD, an assistant professor and interim chair of neurosurgery at the UF College of Medicine – Jacksonville, presents during the May 23 grand opening celebration of the center. 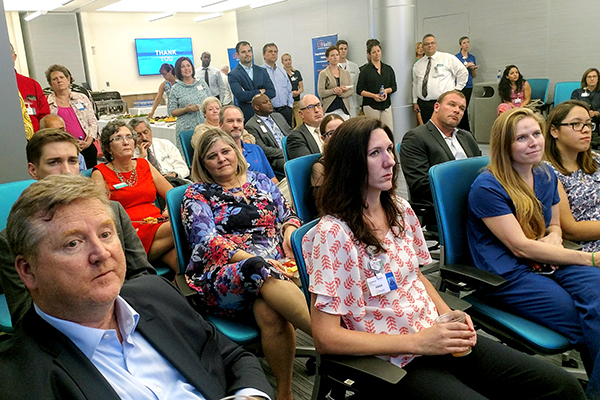 The event, held at UF Health North, drew several UF Health physicians, other faculty members and staff, along with a good number of special guests. The center is located on the north campus. 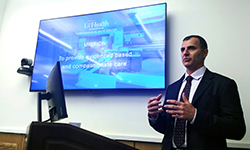 The crowd looks on as Daryoush Tavanaiepour, MD, talks about the strengths and benefits of a comprehensive spine center. 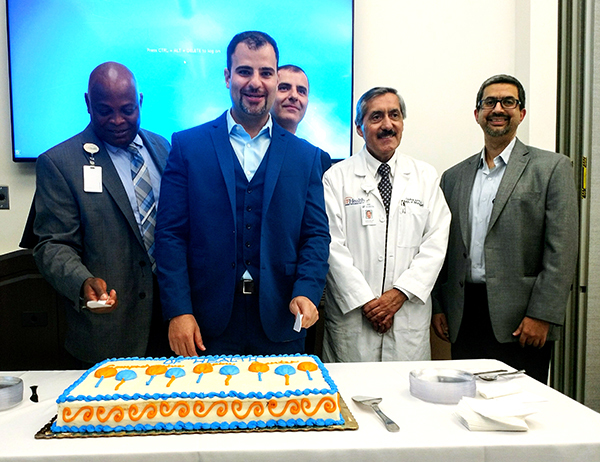 Kourosh Tavanaiepour, DO, an assistant professor of neurosurgery at UF COMJ, stands in front of the celebratory cake as other spine center neurosurgeons join him for a photo op. Tavanaiepour directs the center. 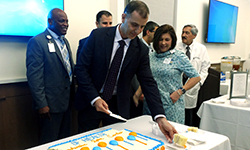 Daryoush Tavanaiepour, MD, cuts and serves cake during the event.